In the early years of the Legion of Frontiersmen there was a regulation requiring all members to be of European descent. This of course would be condemned in this day and age but there is mounting evidence that this directive was being ignored by many in the Dominions and Colonies even then. One such case in point is that of John Shiwak, an Inuit from Labrador, Canada. Shiwak was born in 1889 and was the eldest of 5 boys and 4 girls born to John Shiwak and Sarah Susanna Oliver. It is believed that the family name had been changed from Sikoak, meaning ‘thin ice’, to Shiwak by a Dr. Paddon of the Grenfell Mission. The connection between the family and the Grenfell Mission was to have a direct influence on John’s membership in the Legion of Frontiersmen and quite possibly his interest in the military and ultimately his death at the age of 28. Most of what is known about John Shiwak’s life has been learned from a novelist by the name of William Lacy Amy who became John’s friend during a steamer trip which John had taken from St John’s Newfoundland when returning to his home in Cul-de-Sac near Rigolet in Labrador. The two corresponded regularly over the next several years. As a boy John learned the skills needed to survive in the unforgiving North Country of his day such as fishing, trapping, hunting and tracking. The expression ‘Swatching Seals’ referred to the shooting of seals on the open water when they briefly popped their heads up to breathe. This required deadly accuracy with a rifle as well as lightning-fast reflexes and an unusually keen eye. It also provided unequalled training for a military sniper – a trade in which John Shiwak was to excel. John had little formal education as he went to work at the age of ten to help his parents support their large family. It is thought that he worked for a time at the local Hudson’s Bay Co. salmon processing plant as well as trapping and fishing. It is known that during the winter of 1910-1911 he leased a trap line from one John Groves to whom he paid one third of his catch and that he did very well at this. He is also known to have worked as a handyman for a Doctor at the Grenfell Mission during the summer of 1911. It has long been speculated that this was Dr. Paddon but it is more likely that it was Dr. A.W. Wakefield who was there at that time. Dr. Wakefield had been a member of the Legion of Frontiersmen in Britain before coming to Canada and held the rank of Captain as Officer Commanding the Legion of Frontiersmen in Newfoundland/Labrador. Capt. Wakefield was to become directly involved in the formation of the Newfoundland Regiment when he offered ‘about 150’ Frontiersmen for service. The actual number enlisted is not known today but it is known that he served as an Officer with the original 500. It is reasonable to assume that this had a direct bearing on John joining the LOF in 1911 and his enlistment in the Regiment during WW1. He had a keen interest in the military, once writing to his friend Lacy Amy that he wanted to be a ‘Soljer’. In the summer of 1915 John again travelled to St. John’s where, on July 24th, he enlisted in the Newfoundland Regiment with the Reg. number 1735 and served with ‘F’ Company. Although small in stature at only 5’5″ and about 130 lbs., the rigors of his harsh life had prepared him well for the hardships that he was to face. After basic training in Newfoundland John underwent further training in Scobe, Scotland and arrived in France for duty on the front line on July 24th 1916, exactly one year to the day after his enlistment. His years as a hunter had taught him patience and swatching seals had honed his marksmanship to the point that he was soon recognized as the Regiment’s top sniper. One Officer went as far as to say he was the best sniper in the British Army. He was promoted to L/Cpl on April 16th 1917. During the Battle of Cambrai in late November of 1917 the Newfoundland Regiment was in the second wave, which was intended to clear any remaining pockets of resistance after the main assault had taken place. It was at this time that John Shiwak was killed by a German shell while involved in an assault on Masnieres. The exploding shell also killed six of his comrades. It is unfortunate that his diaries, which he had given to his friend W.L. Amy, do not appear to have survived. These contained not only his thoughts and feelings but also the poetry, sketches and watercolors which he had produced. These diaries would have given us an in-depth look into the life and perceptions of John Shiwak, Soldier, Frontiersman, and one of our Honoured 9000. 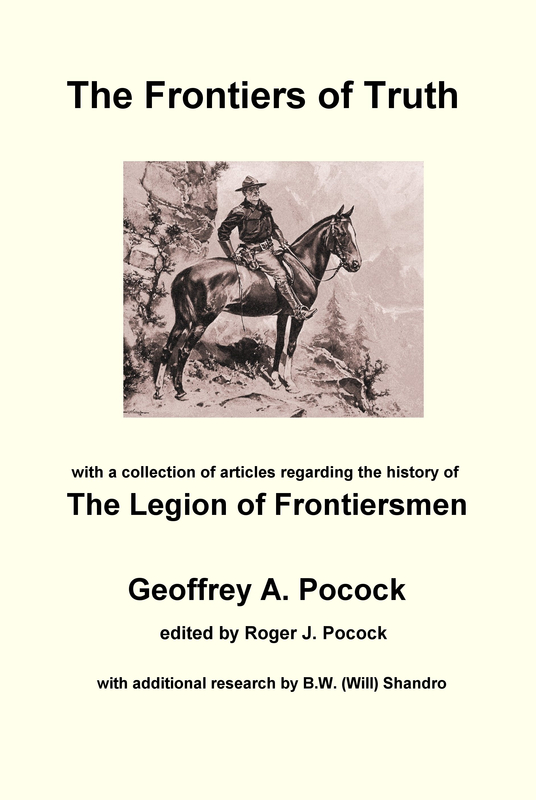 Legion of Frontiersman History and Archives, Canada. Article © 2009 Dean Bruckshaw. All rights reserved. This article may not be reproduced in any form, in part or in full, without prior permission.